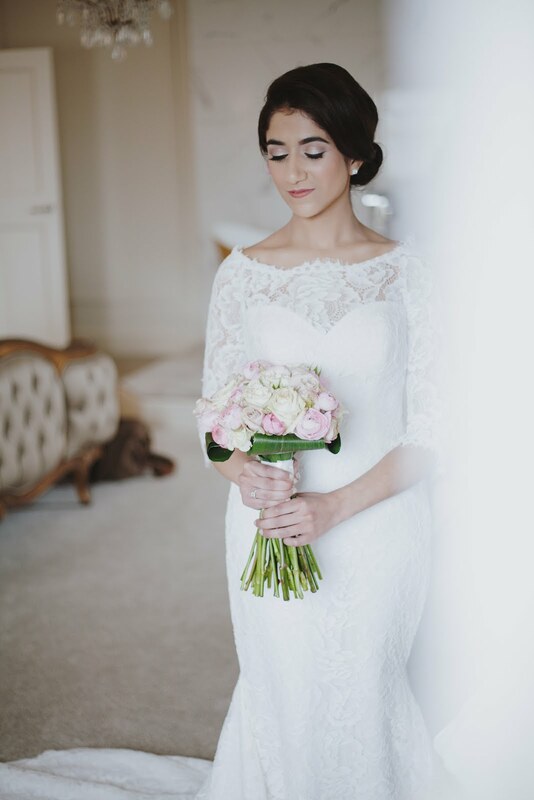 Like I mentioned in my previous post about my wedding dress, I felt like hair and make up was an important factor for me. 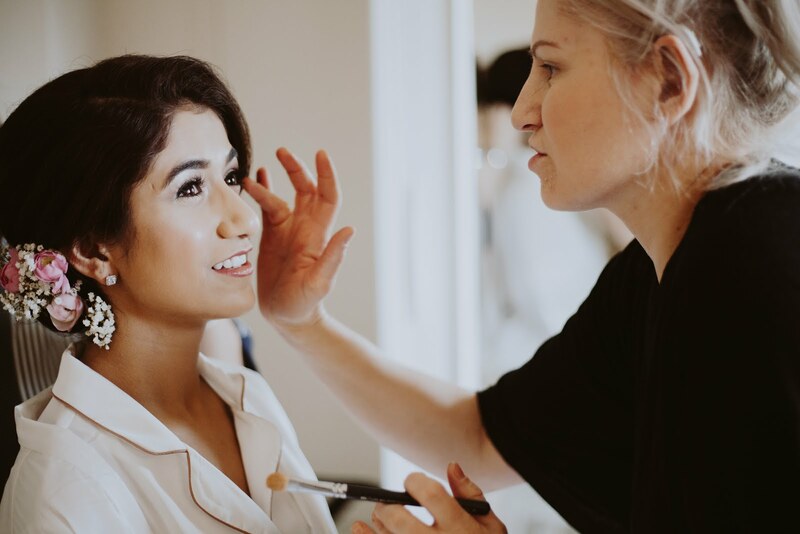 At first, I really wanted to do my own make up but it was the one occasion where you deserve to be pampered and I did have someone in mind who I felt comfortable with so I did get a make up artist to glam me up for the day. Anyway, I thought I'd share my look and who was apart of my dream team! I never really like getting my make up done but I've previously got it done professionally on my sisters wedding and I decided to use the same make up artist because I felt most comfortable with her. Her name is Paula and she listened to everything I wanted and really made me feel beautiful on the day. I definitely knew I wanted to get a trial done and honestly it was the best decision I ever made. Paula has worked in the industry for many many years so she knew exactly what to do. I mentioned in my Pre-Wedding Skincare Line Up blog post that she recommended a routine for me as my skin was really bad. She solved all my skincare problems and got my make up on point! I went for a champagne and mauve eyeshadow look, softly smudged eyeliner and natural but voluminous eyelashes. I wanted glowy and dewy skin with a light contour, a touch of blusher and a pink lip. The products she used were great and lasted all day long! Paula Durance is known to many in Leicester so if you are after a make up artist, I highly recommend her! 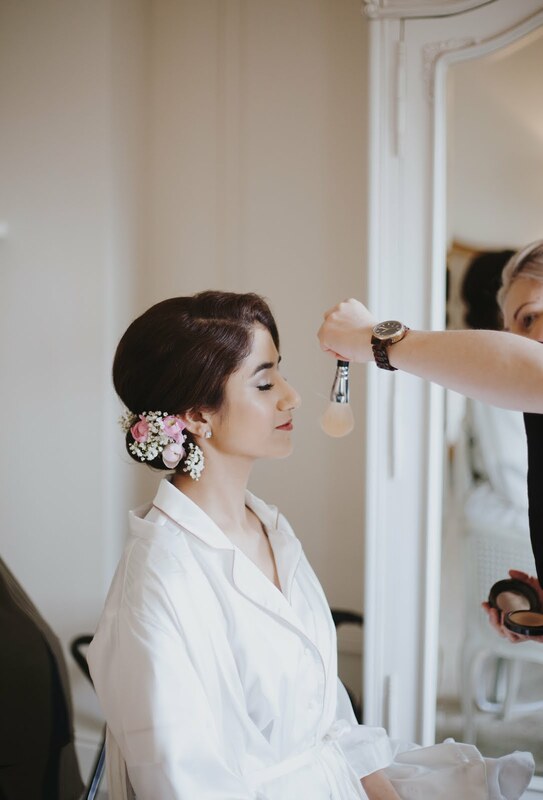 I never really wear my hair in an up do, mostly because down-do's are much easier to do, but I knew that on my wedding day I wanted to wear my hair in a soft up do. I don't think anyone, even my husband (!) expected me to have my hair up on our wedding because I wear my hair down that often! I went for a classic chignon style up do with a deep side part in a sleek neat style. I have frizzy hair so I wanted to keep everything tame for the big day! Anyway, my hair stylist is a family friend but also known to many in my local area in Leicester. Her name is Shabiha and her Instagram (which doesn't do her work justice) is @ShabihaMaster. 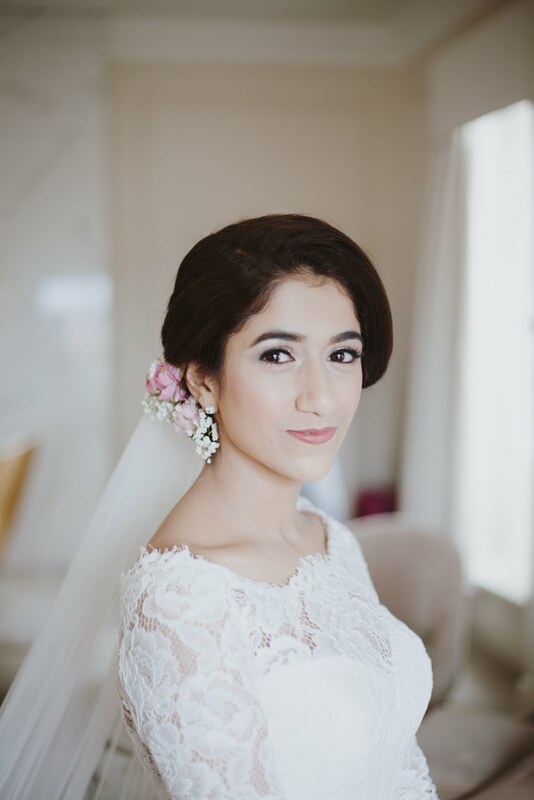 Shabiha not only did my wonderful hair for me, she also carefully placed the flowers, put my veil on and helped me into my dress and basically dressed me on the day. She really does go above and beyond!